Vicente Calderon star wants Stamford Bridge switch. 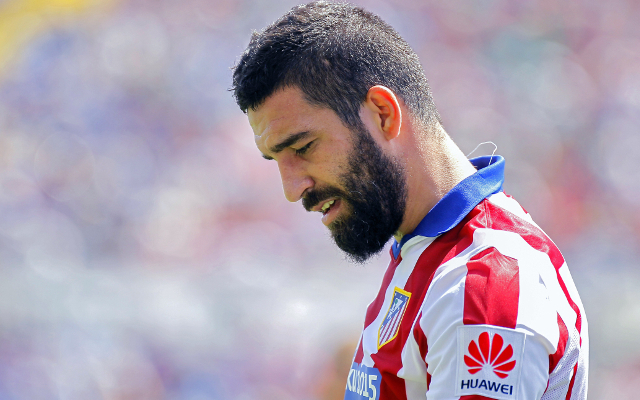 Atletico Madrid star Arda Turan wants to join Chelsea this summer according to the Daily Mail. A raft of top sides are keen on the 28-year-old, who release clause is set at £29m, and Chelsea have already held initial talks with the player’s representatives. PSG and Man United are also keen on the Turkish international according to this source, though Chelsea have previously completed successful Vicente Calderon raids and are now ‘strong candidates’ to snap up Turan. A quality playmaker, Turan is a talented individual who can make things happen in the blink of an eye, and a player who has thrived wherever he has pitched up. Turan joined his hometown side Galatasaray at the age of 13 and became a cult hero at the Istanbul based side over the course of his six seasons in the club’s first team set-up before moving to the Spanish capital in 2011. In his four seasons at Atletico Madrid the cultured attacking midfielder has impressed greatly, especially during their La Liga title triumph in 2013/14, and could certainly provide Jose Mourinho with additional flair in the final third. Of the regular first team options Jose Mourinho used in his attack last term it is perhaps Brazilian Willian who proved least effective and Turan would offer the Blues boss an improvement in the role on the flank. Last summer Mourinho lured both Filipe Luis and Diego Costa from Atletico Madrid and the pair, especially the latter, played their roles in Chelsea’s Premier League title success.